Hope everyone on the East Coast survived the blizzard! Lol at that statement tee! 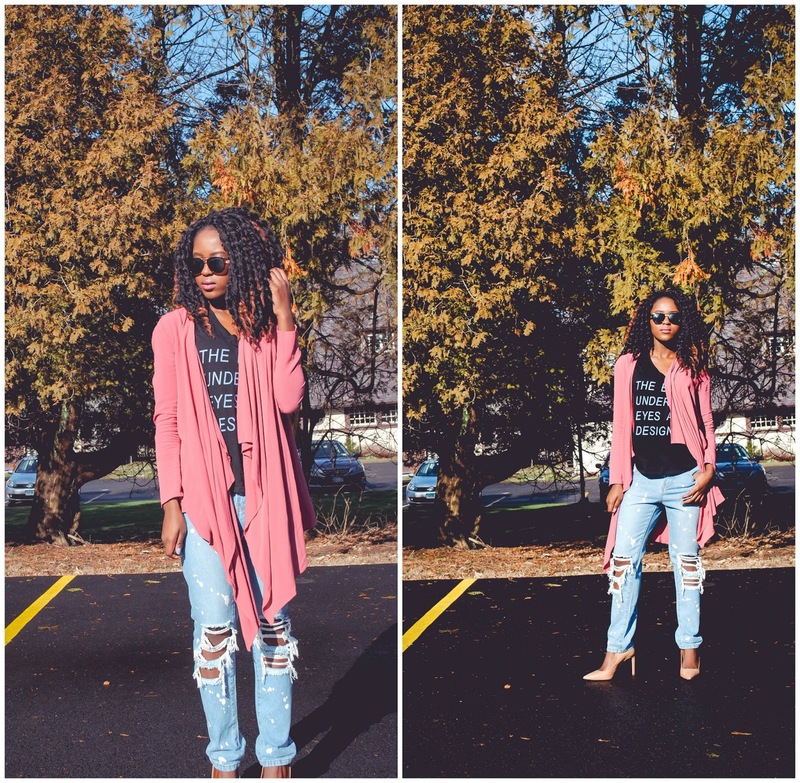 I am obsessed over graphic tees lately, they are so easy to style - dressed up or down! Such a beautiful colour! Great stuff. Enjoy your week! Fun top! Love your shades too! 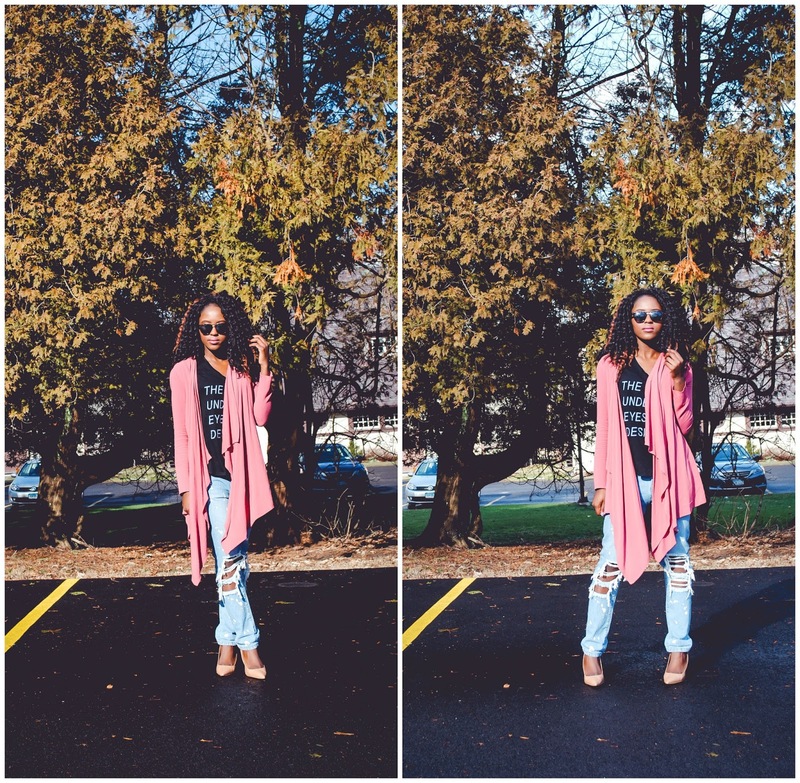 Such a gorgeous outfit, the cropped jeans look great on you! 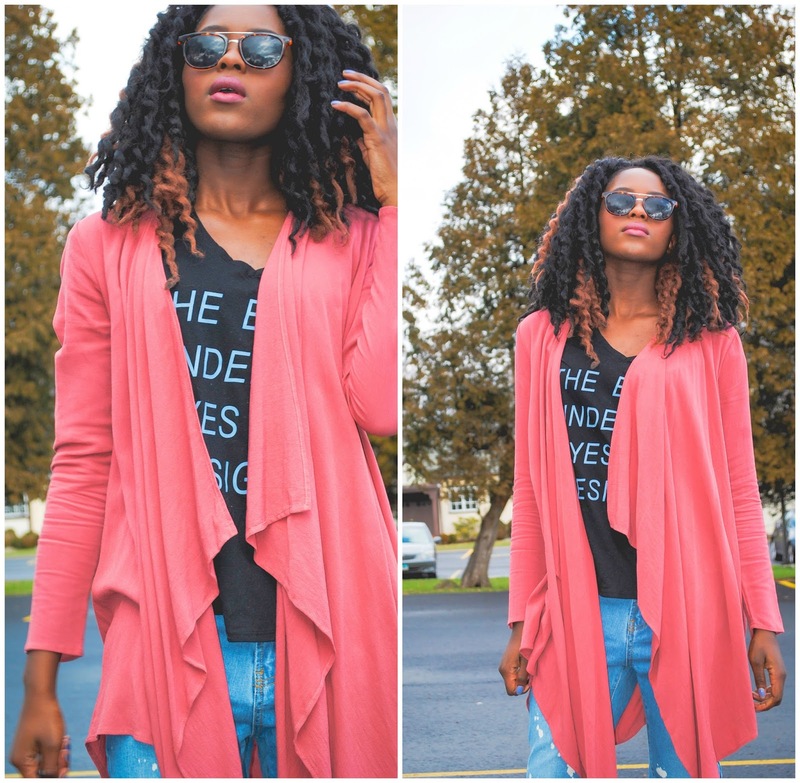 love that pink cardi and love the Tee- this outfit is great!